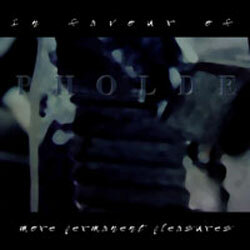 This is the genuine metal music – the creation of an ambient project PHOLDE, whose album “In Favour Of More Permanent Pleasures”, released on Dark Winter label, may be considered a collection of iron songs, though I am not sure, if there only iron was used, other metals sound too. 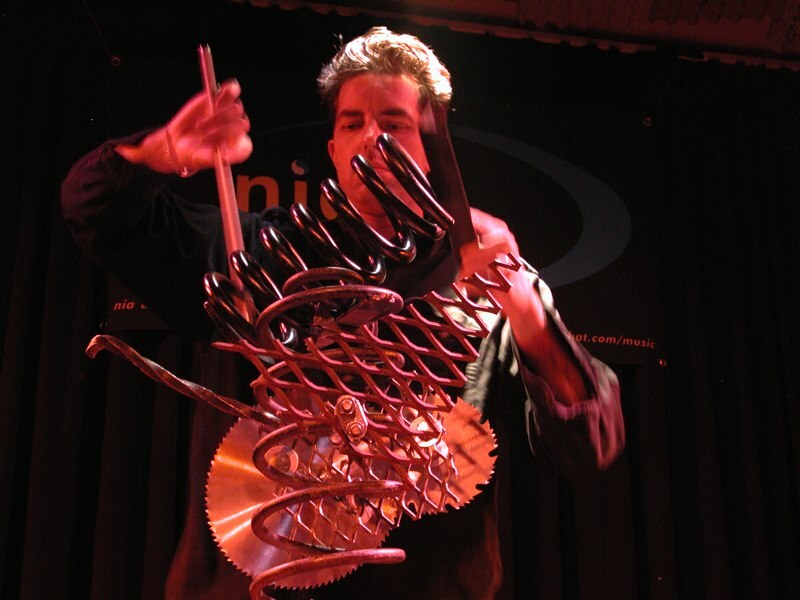 PHOLDE’s music is distinguished by the fact, that author uses found metal, from which he produces unique and pure sound, not applying any computer sound effects, with the exception of reverberation, which, I think, appear to be the best beautification for everything. Gong-like, grandiose strata of ringing peals cover the mind, making it vibrate, resulting in deep resonance with the enchantment of the artist’s performance. The names of the tracks are rather abstract, but this elusive concept drags you down to a certain enlightenment, especially, if you pay attention to the title of the album, which is dedicated to More Permanent Pleasures, which outlive our vain thoughts and motives. In my opinion, the author shows us, that really, permanence is everywhere, and our task is just to manage to see it, and he demonstrates this by the example of metallic things, that can exhale this permanence through their fascinating sounding. Everything can become eternal, we are just to open the window of our consciousness. Find your Permanent Pleasures with PHOLDE. This entry was posted in Uncategorized and tagged dark ambient, Dark Winter, PHOLDE. Bookmark the permalink.